Here's my first Valentine's Day printable of 2014. 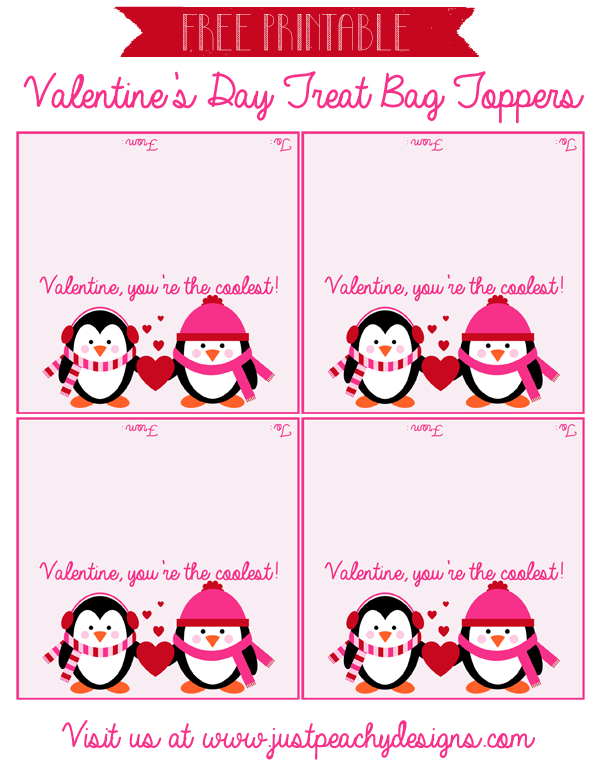 This set of 4 4x4 inch Valentine's Day treat bag toppers can be used for classroom parties, or for gifting candy or other sweet treats to friends and neighbors. This printable feature adorable penguin clip art that you can download yourself from here. To download the treat bag toppers, just click the image below. 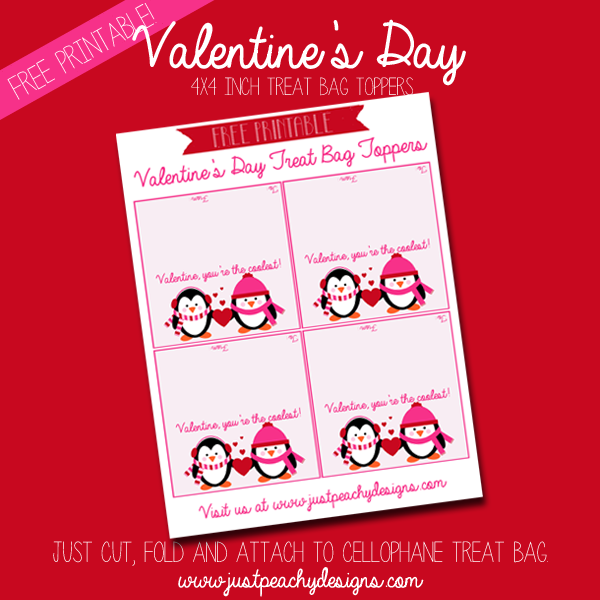 Then print, cut and attach to 4 inch treat bags. Enjoy, and stay tuned for more Valentine's Day freebies coming your way soon!